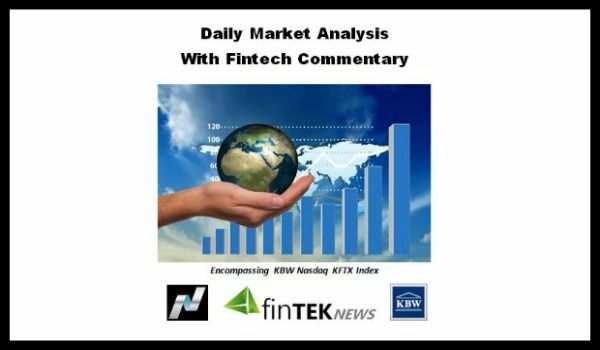 Home Nasdaq KFTX Fintech Index Friday’s NFP Important? Forget About It. Friday’s NFP Important? Forget About It. Today’s market summed up; YAWN! Waiting for tomorrow’s (Friday) NFP (non farm payrolls) for February is a total waste of time. Everyone (yes, even hermits in caves) knows the Fed will raise rates at next weeks meeting. Oh yeah, unless there is number like, oh say 50K, which is 0 probability. So, a drifting market means an early start on the weekend. Hope the weather is good where you are. As to the fintech sector. Pretty much the same with the KBW NASDAQ fintech index (a/k/a KFTX) settling at 1135.95, down a whopping -.41 points (-0.04%). Only one of the 50 stocks in the index managed a significant move today. Not even the advance decline woke up today with 28 up issues, 19 down issues and 3 unchanged. Pretty much the pattern all week. Nothing to see here folks, move along move along. Looks like we will see replays of this till next week. Have a super evening. Next articleSEC Says ‘NO’ to Bitcoin ETF. Wild Ride After Announcement.